Your one stop shop for all things real estate photography. We provide aerial photography & video, still photography, and walk through video. Fully insured, licensed, and registered with the FAA. Beautifully shot and enhanced video can provide your viewers or potential customers a unique experience that can only be captured with aerial video. Show off the land, pools, or special additions to your property through sky high shots. We work with realtors, engineering/construction companies, special events, golf courses and more to provide one of a kind professional and beautiful aerial photography. Walk Through video is an amazing way to show potential buyers what the home “feels” like. Our walk through video tours will provide a completely different perspective and add a special touch to your listings. Back to the basics, we provide beautiful visuals of the rooms in your property. Quick turn around means a quicker sell for you and your client. All of our editing is done in-house, which means a quick turn-around for you. We work with you to discover what you are looking for in a project and bring that to life. We are a certified Zillow Select Photography company! This gives us the ability to upload fully edited promotional videos to your Zillow listing. As an agent, you must pay to be able to upload produced videos to your listing. 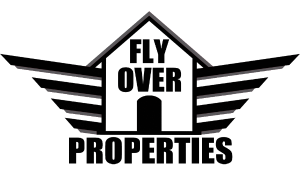 By using Fly Over Properties, we are approved by Zillow to upload videos on your property’s page at no extra cost to you. We are one of the only photography companies in Pittsburgh with this Zillow certification! When you have a produced video on your listing, Zillow pushes your listed property to the top and shows it to more people. Get the most for your client and stand out by working with us!